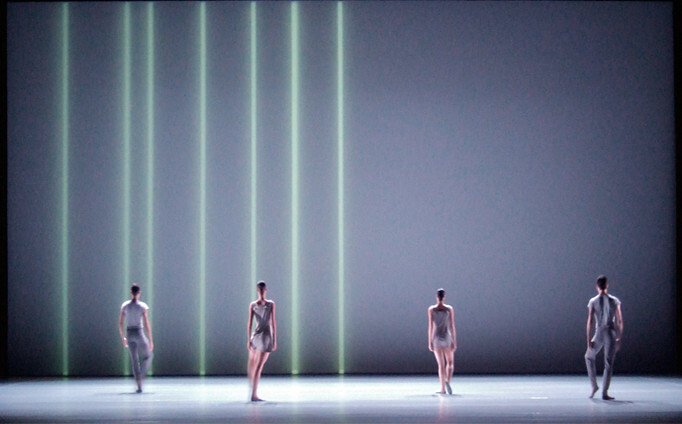 Lucinda Childs - Site de dominiquedrillot ! 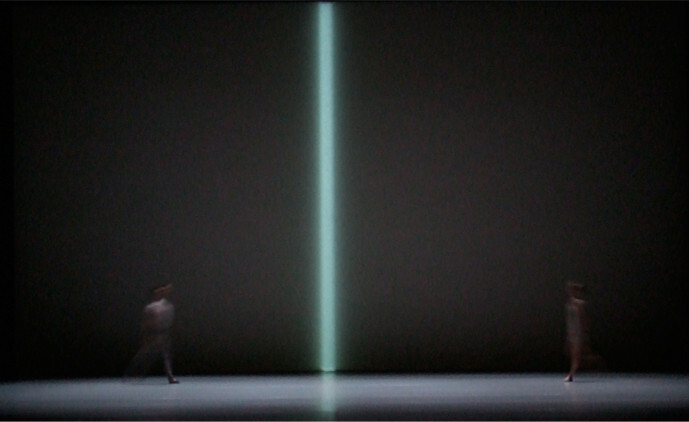 Concept : The projection is working as a second territory of the dance. 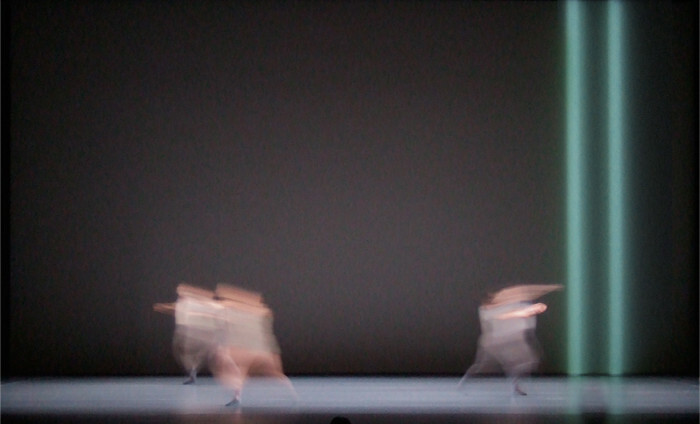 Often, the back projection is disconnect from what happens with the dancers. 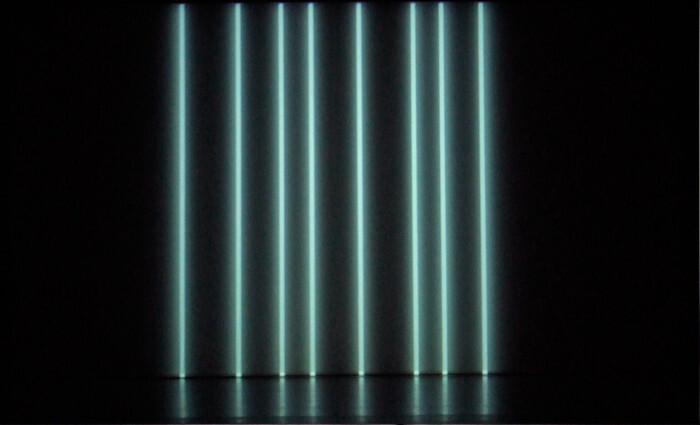 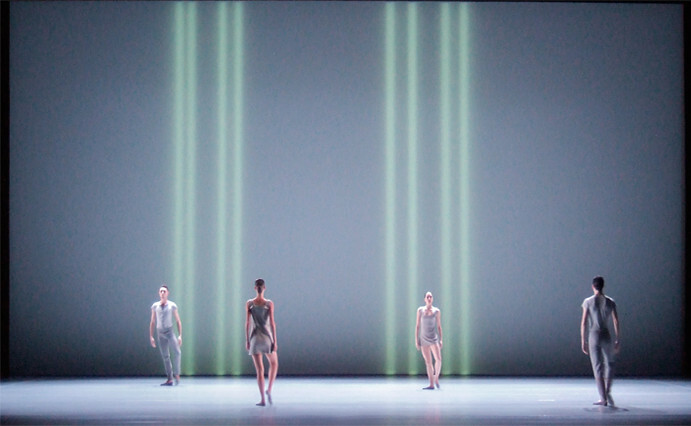 Sometimes the projection takes a big autonomy to make a stange and regular choreography making vertical architectures. 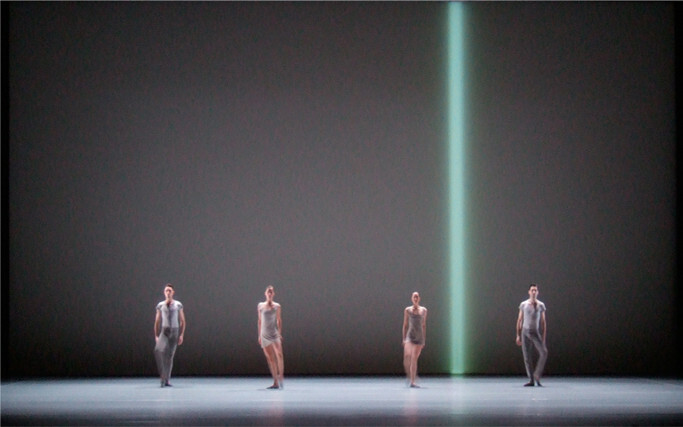 Somehow, the projected lines and the dancers seem to be very all together in suspension moment. 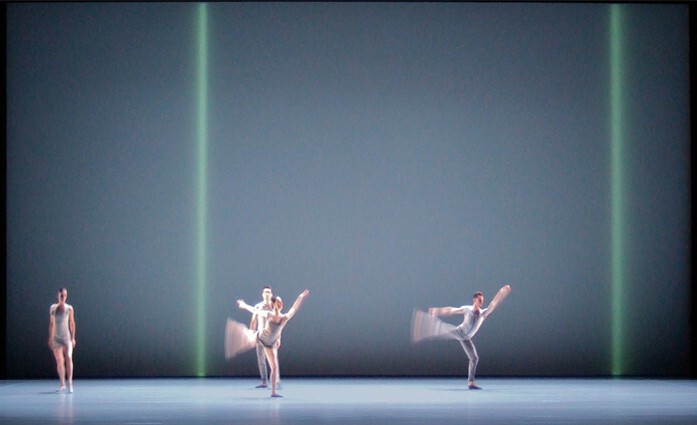 Canto Ostinato is an hypnotic ballet with a none very clear start and a quite confuse stop, a very small part of a whole production. 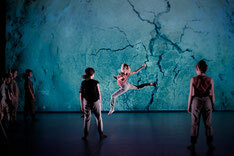 Let me say this is an enthusiastic and intimate moment constructed around the wonderfull music of Simeon Ten Holt.